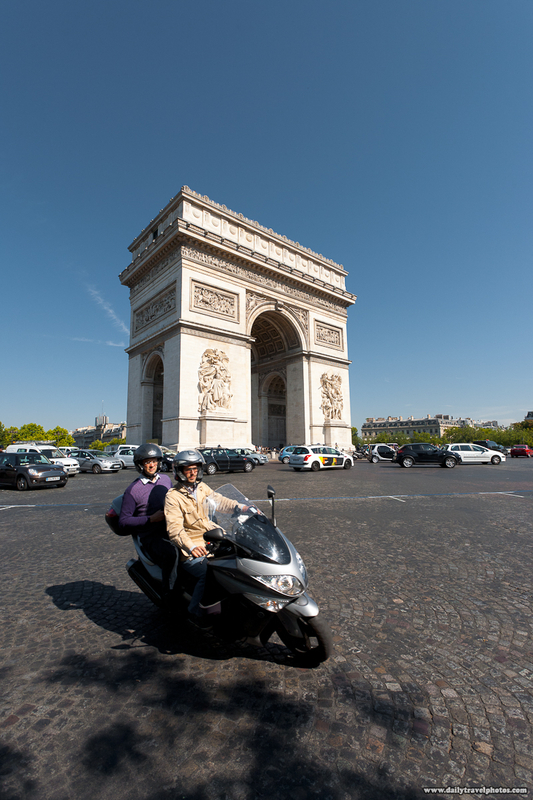 The traffic circle in front of the Arc de Triomphe in Paris. Thus begins an epic photographic journey in and around Paris where I spent a mini-vacation with my Lady Travelguy for two weeks. The vacation was mostly about relaxing with my girlfriend so I didn't endeavor to grab any spectacular images in Paris nor did I make any time for some of the more fundamental parts of my photography such as waiting for some shot to materialize. Most of the images I managed to capture were a by-product of the two of us simply walking around the city with me carrying my trusty camera at all times. And with sunset in July falling very late at around 10pm, I didn't bother to do any dusk or night photography for which Paris is a perfect model. Yet, even half-assing my photos, I was still able to capture some beautiful images which speaks less about my photographic prowess but more about the elegance of the most beautiful city in the world. Two things resulted from this recent trip to Paris. One, a reaffirmation, since my last trip to Paris in 1998, that Paris is definitely the most beautifully, well-preserved city in the world. There's no other city that's done such a great job in keeping its architecture so beautifully cohesive and similar. And secondly, I've decided that within the next couple of years, I will make Paris my temporary home for a few months, just so I can leisurely run around the city taking photographs as I please. J'<3 Paris!! !